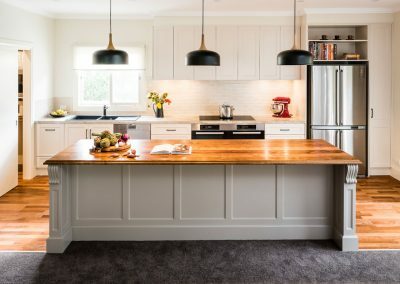 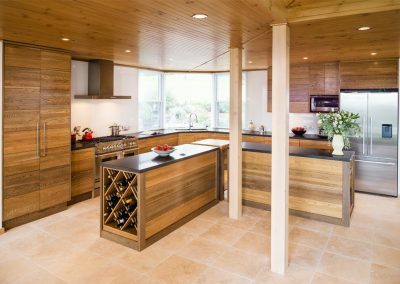 This Smith & Smith Kitchens’ kitchen design focuses on balance and functionality. 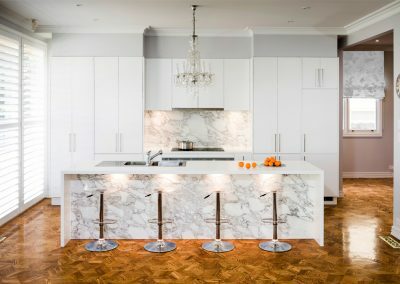 The design had to be classical yet contemporary, as the kitchen is visible to a formal dining room, informal meals area, and a family room. 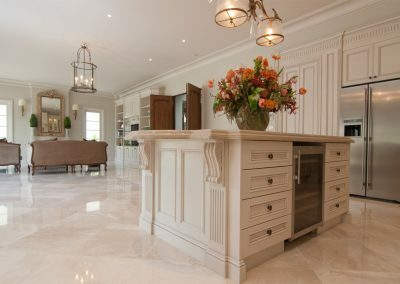 Attention to detail was paramount for this project. 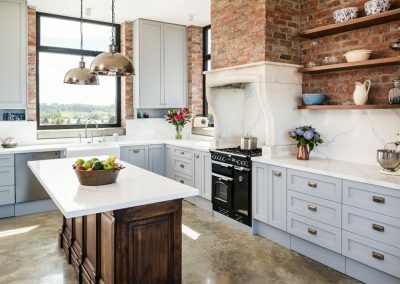 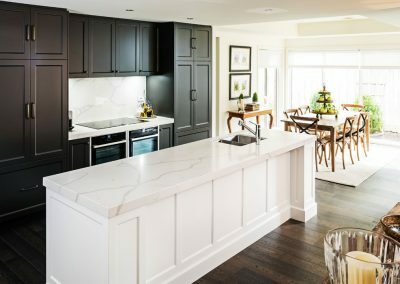 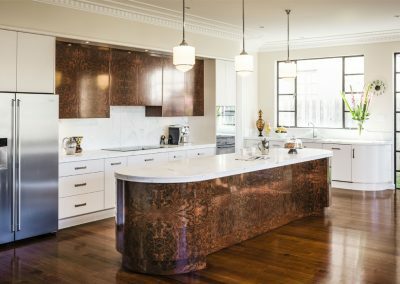 Smith & Smith Kitchens created a custom-made door to suit the clients’ tastes and cabinetry that would balance the impressive appliances was an important consideration. 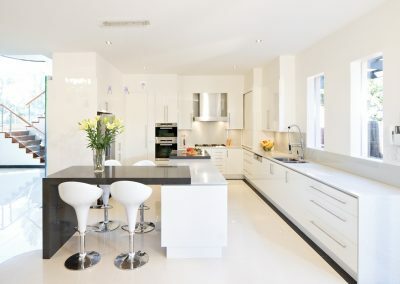 The objective was for the appliances to stand out, without dominating the space. 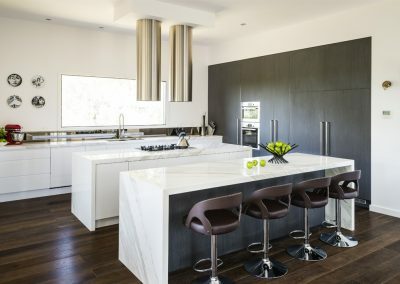 Smith & Smith Kitchens customised the door profile for the design using a flat door with a small bevel on the rails to achieve the styling the client desired. 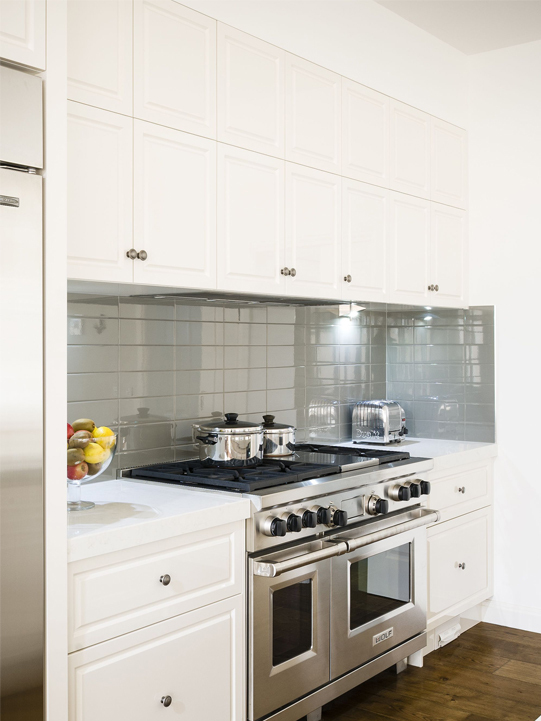 The cabinetry features two-pack gloss polyurethane in ‘Antique White USA’. 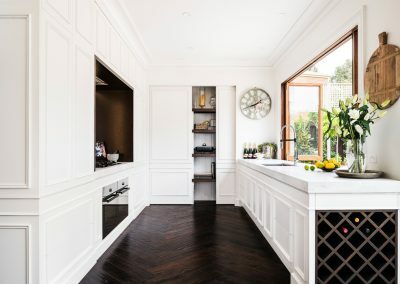 During the renovation, the pantry and laundry were reconfigured to be within easy reach of the kitchen, ensuring the room is both visually superb and highly practical. 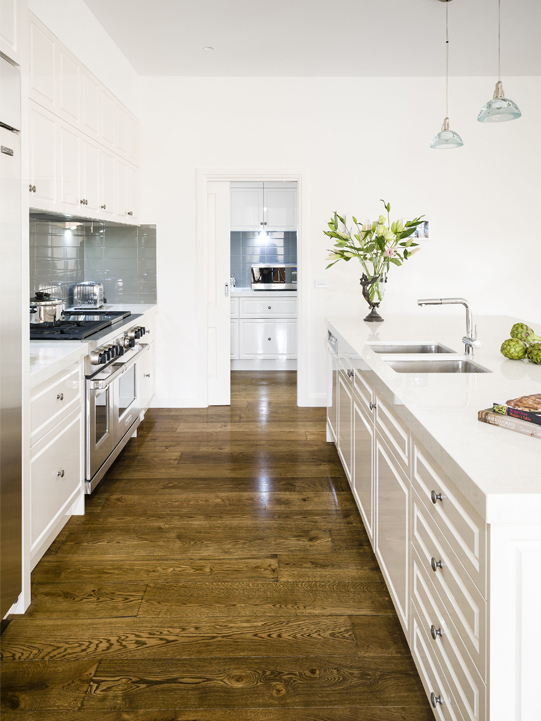 The same high-class cabinetry finishes flow between the kitchen, butler’s pantry, and laundry. 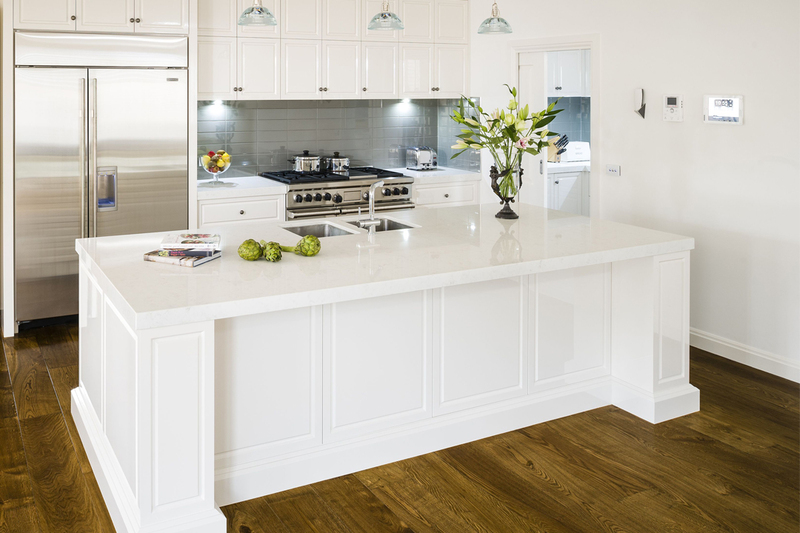 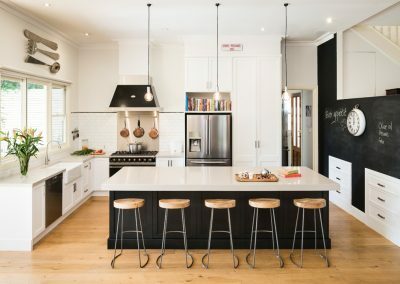 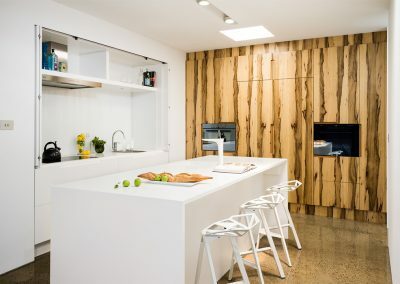 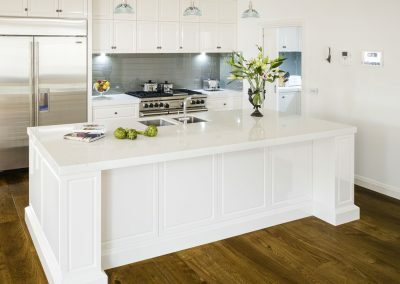 Large panelled legs on the island bench coordinate with the cabinetry and complete the impressive kitchen. 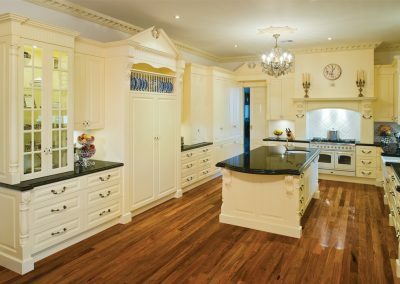 Internal pull-outs behind the large base drawers help to achieve functionality, while still maintaining the classical look of the space. 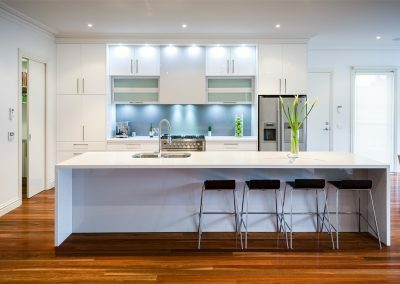 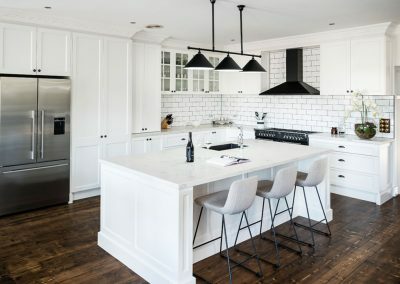 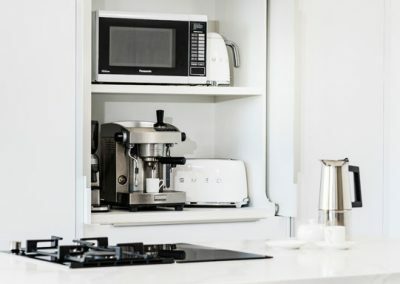 Overhead cabinets have been designed to appear as two rows of cabinets, yet they are a single tall cabinet, which is easier to open and provides more room.